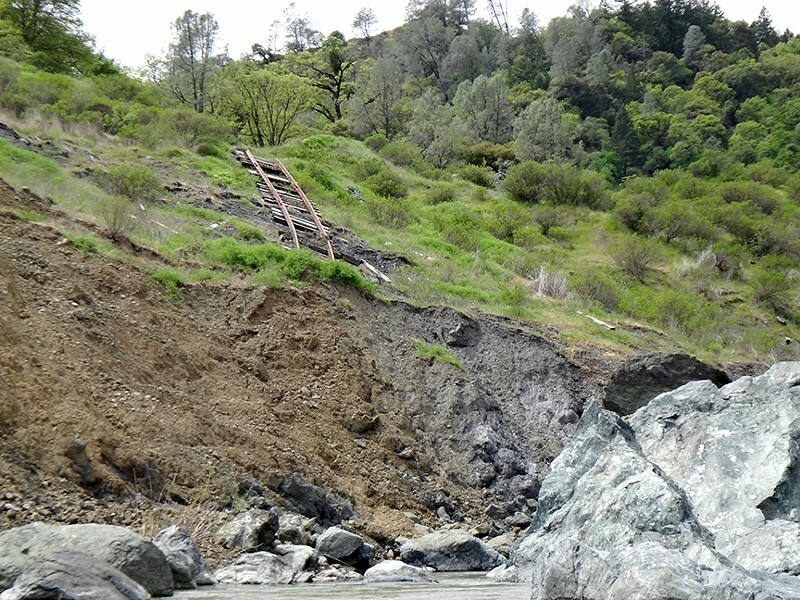 Here's what the NCRA line looks like in the Eel River Canyon. Anyone who even casually follows the exploits of the North Coast Railroad Authority has seen a particularly absurd example of government folly — a state agency led by a cabal of evangelical cargo cultists with an unfunded mandate to resurrect an insolvent rail line. In recent years, two members of the agency's board of directors have tried tactfully but persistently to suggest that the emperor is starkers. One of those, Humboldt County representative Bill Kier, resigned from the agency in May. The other, Marin County representative Bernard H. Meyers, announced yesterday that after six years on the board, he won't be seeking reappointment. His resignation letter and an accompanying Q-and-A are, in a word, badass — the epistolary equivalent of this. In a recent article ... Director [Allan] Hemphill was noted as raising the possibility of the NCRA filing a Chapter 9 bankruptcy. His concern is not inappropriate, and the Board should raise the issue for discussion as soon as possible. The keystone agreement between NCRA and [private operator] NWP [Northwestern Pacific Railroad Co.] is the lease of September 2006. Can it be described as anything other than a lop-sided, sweetheart deal? It allows NWP to unilaterally extend the lease term for a century, without any additional approval by NCRA. ... How much money does the Lease require NWP pay to the NCRA? Nothing, until NWP has a year in which it makes $5 million in net profits. When might that happen? It depends, but it is very possible to not occur this century. The lease requires NCRA to acquire and spend public funds without limitation. $68 million (per staff) have been expended to get 62 miles to Windsor; tens of millions will be needed to extend the line to Willits. 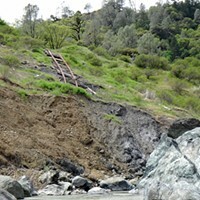 Then hundreds of millions of dollars are estimated to rehabilitate the Eel River segment, after which further tens of millions are estimated for work in the Eureka area. When, over the lease term there are major storms, fires and earthquakes, NCRA bears the responsibility of getting funds to cover the damage — all without regard to fiscal prudence. Staff provides little, if any, follow-up to matters considered at Board meetings. On one occasion (an [Annie & Mary] trail Resolution), staff undid in the final document what the Board had expressly agreed to. 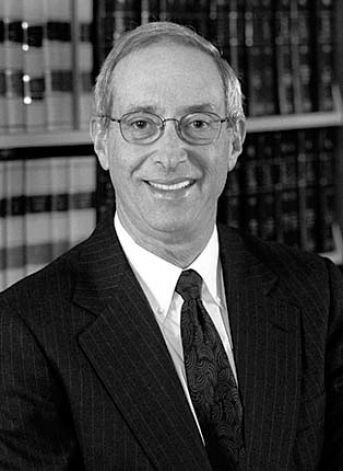 When discussing litigation, take into account that the advice you get to settle — or not — comes from someone who may benefit monetarily if you accept the advice. When you sue over the billboards along the Eureka-Arcata highway and discover well after suit is filed that the signs are not on your property, consider whether you should be paying fees to your attorney. The Board’s ethics policy requiring all Board members to uphold all Board decisions is an embarrassment. Adopted in December 2012, it violates the US Constitution’s First Amendment. If followed it would inhibit, if not prohibit, full, fair discussion of Board activity, including reports to the Boards of Supervisors and any State agencies. Meyers closes by saying the NCRA is in dire need of a top-to-bottom review of its actions and mandate by an impartial entity such as the state auditor and a joint legislative audit committee. And he says that the agency needs to renegotiate its lease with NWP while becoming fully accountable to the public and its board. Addendum: Here is Meyers' farewell report and here is his NCRA Q-and-A .